October 27, 2010  Fears are growing that Sunni-Shiite friction will erupt into sectarian war if the U.N. tribunal investigating the 2005 assassination of Lebanon's president indicts members of Hezbollah. 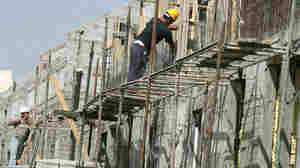 October 22, 2010  Settlement building in the occupied West Bank has skyrocketed since the end of the moratorium. According to the group Peace Now, which monitors settlement building, some 600 buildings have gone up in the past three weeks -- four times the normal rate of building in the same period in previous years. 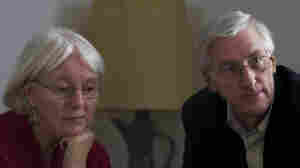 October 22, 2010  Support for traditional left-of-center parties is slipping dramatically, according to a recent poll. 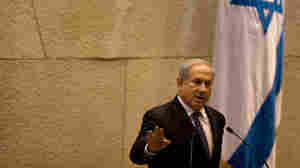 And the mostly right-wing government of Israeli Prime Minister Benjamin Netanyahu reflects a fundamental shift in Israeli politics. October 21, 2010  The Obama administration has notified Congress that it plans to sell $60 billion in fighter jets, helicopters and other advanced weaponry to Saudi Arabia. The deal is part of the U.S. effort to build up allies in the Persian Gulf to counter Iran. October 21, 2010  American Rachel Corrie was killed by a bulldozer manned by Israeli soldiers as she tried to stop the demolition of a Palestinian home. The military ruled the death accidental, but her parents say the investigation was flawed. Now they have become the activists -- suing Israel for answers on behalf of Palestinians who don't have the same opportunity. October 19, 2010  For years Canada has been at the heart of the U.N., participating in peacekeeping missions, and donating aid money to countries in need. But Colum Lynch of Foreign Policy argues that this is changing. The country did not even win a seat on the U.N. security council this year. October 16, 2010  It's a tale worthy of a spy novel: a British man may have appropriated the name of a dead Israeli soldier and been involved in a plot to kill a Palestinian leader. Host Guy Raz speaks with reporter Alistair MacDonald of the Wall Street Journal, who's been following the complicated tale of an international hit man who may -- or may not -- be named Christopher Lockwood. October 15, 2010  Iran's president wrapped up his first state visit to Lebanon Thursday. He spoke to an enthusiastic crowd in southern Lebanon near the Israeli border and then met with Lebanon's prime minister in Beirut. 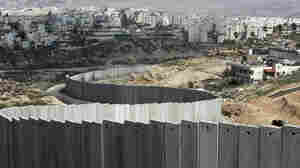 October 14, 2010  Israel's security barrier in and around the West Bank is about 60 percent complete. Designed to thwart suicide bombers, Palestinians say it's a land grab. One east Jerusalem community has been essentially cut off from the rest of the city by a new barrier erected two weeks ago. October 14, 2010  The new documentary film Budrus tells the story of a Palestinian village that was right in the path of a planned section of the Israeli security wall. As Israeli border security tried to clear the path for bulldozers, the people of the village mounted a sustained nonviolent protest to block the construction. Over the course of many months in 2003 and 2004, Palestinians of all political stripes were joined by Israeli demonstrators. Israelis finally did reroute the wall closer to the border and away from the town. NPR's Mary Louise Kelly talks with the film's writer and director, Julia Bacha, about the movie and its message of nonviolent protest. 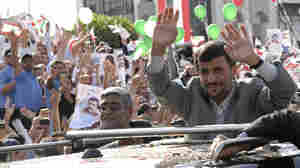 October 13, 2010  Iranian President Mahmoud Ahmadinejad was given a rousing welcome Wednesday by Shiite supporters of Hezbollah, the militant Islamist group that is strongly backed by Tehran. But U.S. officials fear the Iranian leader will inflame already growing tensions among Lebanon's various sects over a U.N. investigation into the 2005 assassination of former Prime Minister Rafik Hariri. October 13, 2010  The Iranian president was greeted by crowds throwing rose petals. Iran backs the powerful Shi'ite political, social, and military movement Hezbollah and helped pay for reconstruction after the 2005 conflict between Hezbollah and Israel. 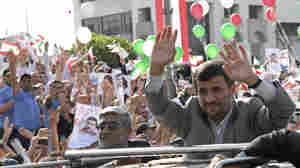 October 13, 2010  Even before he arrived, Iranian President Mahmoud Ahmadinejad's trip stoked tensions inside and outside Lebanon. Critics accuse him of trying to turn Lebanon into an Iranian base on the Mediterranean Sea. 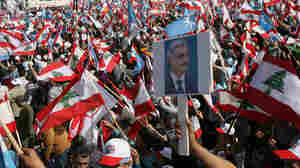 Others welcome him as the president of a country that spent hundreds of millions of dollars rebuilding Lebanon after the 2006 war between Hezbollah and Israel. October 11, 2010  The willingness of terrorists to give their lives has proven to be highly effective and difficult to stop. 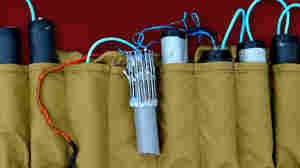 Many think suicide bombers are motivated by religion, but Robert Pape, co-author of Cutting The Fuse, says that while suicide terrorists have grievances, religion is rarely among them. October 9, 2010  Reports suggest that while the Arabs will again condemn Israeli settlement building, they will not take a stand on whether the Palestinians should continue the Israeli-Palestinian peace talks. This will effectively give U.S. mediators more time to work on a deal to keep the negotiations going. Host Scott Simon talks to NPR's Soraya Sarhaddi Nelson from Sirte, Libya.